This week’s announcement that construction giant Carillion has gone into compulsory liquidation has triggered concerns among many large organisations, including the Road Haulage Association (RHA), which has become the latest to air its uneasiness. 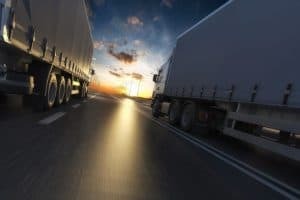 The trade association for road transport and freight logistics operators highlighted just how many companies in the infrastructure sector could be affected, with severe disruption to large road upgrade schemes such as the smart motorway programme, which Carillion was involved in delivering. RHA chief executive Richard Burnett said his group was very concerned about what Carillion’s collapse will mean for members who had contracts with the firm. “Thousands of suppliers are at risk of not being able to claim all the money they’re owed, putting their future and tens of thousands of jobs in jeopardy,” he said. Mr Burnett urged the government to move swiftly in offering support to businesses vulnerable to the aftershocks of Carillion’s collapse. “Likewise, we call upon them to ensure work on infrastructure projects on the road network our economy relies on continue without disruption,” he added. Carillion – Britain’s second largest construction firm – went into compulsory liquidation on Monday (January 15th) with debts of up to £1.5 billion. Some 43,000 jobs are at risk, with 19,500 of those being in the UK. Employees of the firm have been advised to show up to work as usual, with government minister David Lidington promising they “will continue to get paid”. However, a Yorkshire-based train cleaner working for the organisation saw their Carillion fuel card bounce after filled up their company vehicle at a petrol station, leaving them with little choice but to pay for the fuel bill out of their own pocket. A tank of fuel pales significantly to the £1.6 million engineering firm Van Elle stands to lose if it fails to claw back money it is owed by Carillion.